Ready to design your garage for maximum use of your space? Using our pre-configured combinations or custom designed layouts of garage cabinets, shelves, and accessories, your garage will be transformed into a masterpiece of utility and beauty, making organization a part of everyday life. Select the right wall and cabinet organization storage systems for your garage, shop, or other area. 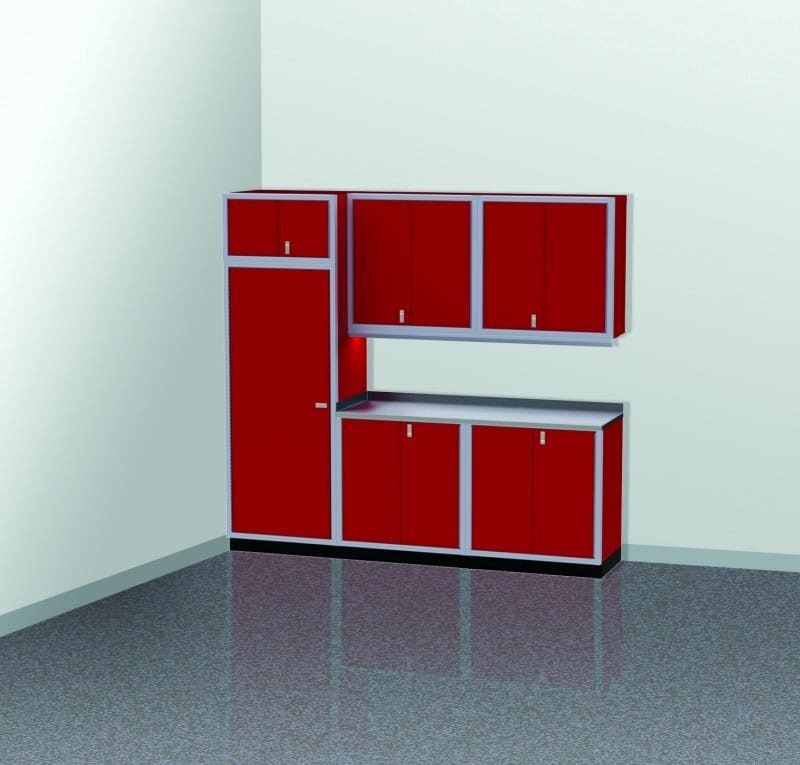 Wall and cabinet organization systems from Moduline Cabinets are the solution you have always wanted to organize your garage. Our high-alloy aluminum storage cabinets are ideal solutions for storing away seasonal items or items you want to organize. Instead of keeping items on your garage floor, choosing a layout with cabinets will help you keep all things in their place. We have pre-configured layout designs for any size space. It’s easy to choose a layout that will work for your space. 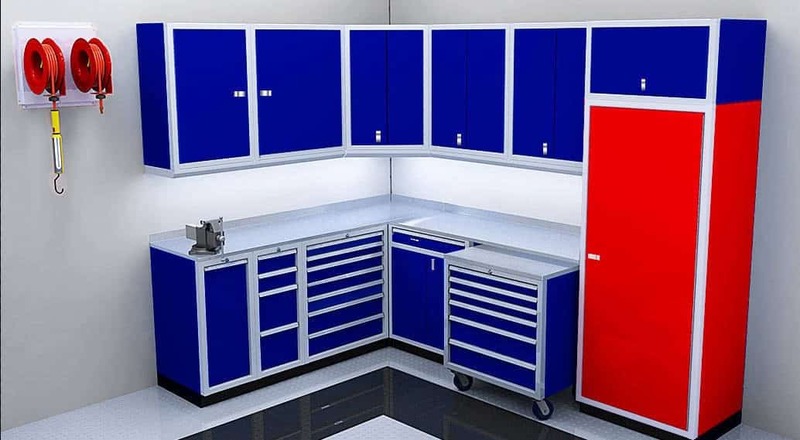 View our garage and shop cabinet system combinations and order online. From heavy duty items such as rolling tool boxes and storage bins, keep all your tools and equipment safe and secure, but easily accessible to you. 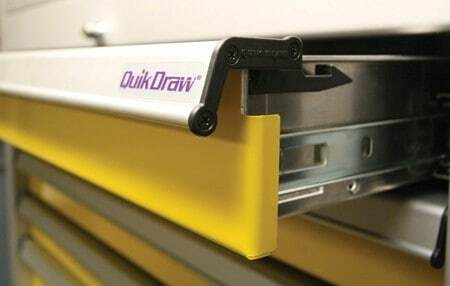 Our tool storage has the QuikDraw® Single Action Latch System, which keeps drawers securely closed and has a one touch operation. The drawers open smoothly and are as quiet as a whisper. Wall cabinets save space by hanging on the wall in a layout along with base cabinets. They create more storage for tools, equipment, cleaning products and other garage essentials. Our tall storage cabinets are made to last and give you the maximum benefit of your storage space, often with shelves for tools and larger items. Depending on what will be stored, our adjustable shelves allow for large items to be stored. We also have bins or drawer dividers for small items, drawers or full-length cabinets to hang clothing in, or to store brooms and other long-handled tools or sports equipment like skis and baseball bats. We can help you with your layout plans for your garage, shop, trailer or other storage area. Let us help you maximize your space with organization.